Squaw Valley was built in the image and style of a European mountain village. It was the host of the Winter Olympic games of 1960, and consists of 3,600 acres of terrain that accommodates skiers (and also snowboarders) of all ages and abilities! It is easy to find and is located northwest of Lake Tahoe, California. It averages 450 inches of snow annually across six mountain peaks that include Snow King, Broken Arrow, KT-22, Emigrant, Squaw Peak, and Granite Chief. In this book, award winning author, attorney and former teacher, Penelope Dyan, incorporates the 'learning to read' skills of word recognition, word repetition and rhyme. 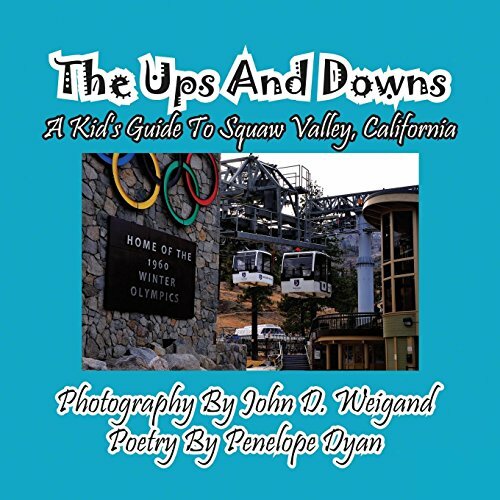 Kids can see some of the things they might find when they go to Squaw Valley; but most importantly, this is a book about dreams and about following your dreams, even if they seem far off and nearly impossible. Coupled with the wonderful photography of John D. Weigand, this is a book meant to make kids learn and think as they prepare for a trip to this wonderful place. But a kid doesn't have to be going to Squaw Valley to benefit from the Olympic dream message inside this book! There is also a free music video that goes along with this book on the Bellissimavideo YouTube channel. If you have any questions about this product by Bellissima Publishing LLC, contact us by completing and submitting the form below. If you are looking for a specif part number, please include it with your message.